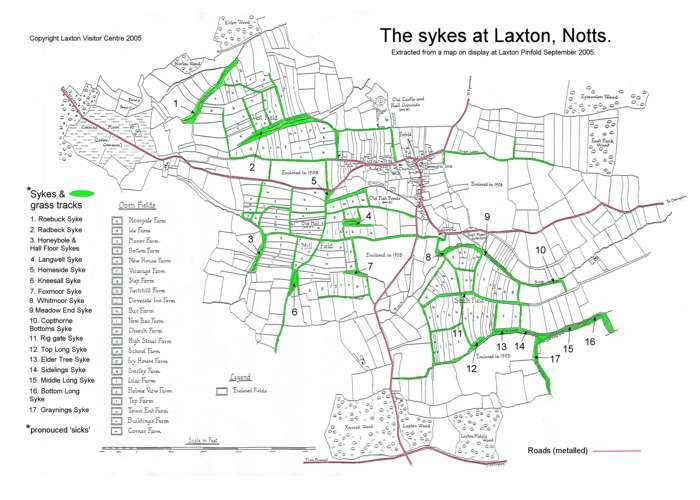 There are three routes for walks around Laxton which are of varying lengths. Each has a leaflet giving directions and points of interest along the way. The walks follow different, colour coded routes as shown on the display board in the Visitor Centre. 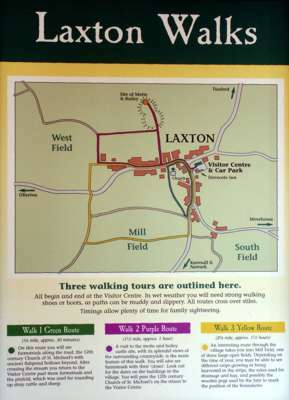 All walks start and finish at the Visitor Centre and during the walk you will see interpretation boards explaining different aspects of the Open Field Farming system in Laxton. Stuart Rose, a trustee of the Visitor Centre, offers guided walks and talks about Laxton. His contact details are available in the Centre. 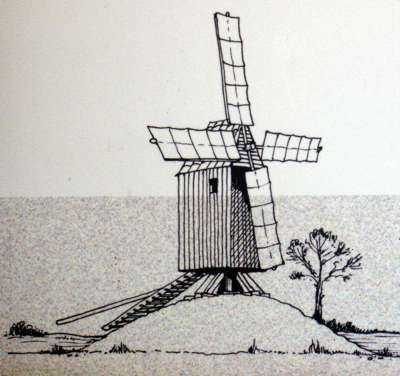 Within the Open Fields there are grassed areas known as 'sykes' (pronounced 'six') which are not assigned to any of the farm tenancies and have never been farmed. Farmers have grazing rights over the sykes which work in conjunction with the current stewardship agreement and Natural England. The sykes are either too steep or too wet or were reserved for turning the horses when ploughing. They often contain a road, a drainage ditch or both. Farmers must not encroach on the sykes when ploughing and must avoid spraying within six metres of their strip boundaries to prevent them from being contaminated by artificial fertilisers and chemicals. 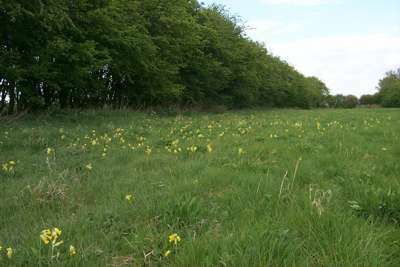 In spring the sykes grow a profusion of cowslips and other wild flowers. The grass grown on the sykes is sold at the annual 'Grass Letting' and the farmers who buy it cut it to make exceptional hay full of many species of grass and wild flowers.